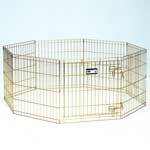 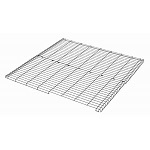 546-42 Midwest Gold Exercise Pen 42"
A Midwest Gold Exercise Pen is durable and affordable. 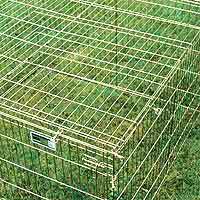 Midwest dog exercise pens are good play areas for your pets whether indoors or outdoors. 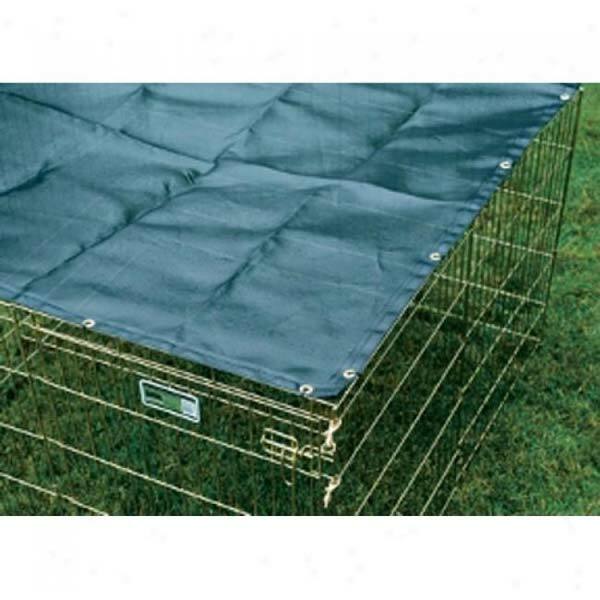 The Midwest Gold Zinc Exercise Pen is one of the best dog exercise pens available. 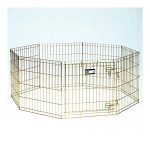 This pet exercise pen is made of Acri-Lock™ Acrylic Coated Gold Zinc for long lasting protection. 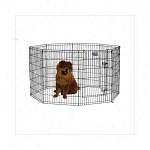 It has a secure double latch door access to make your pet secure. 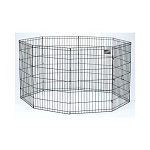 Also, this exercise pen is easy to set up and you don't need tools to build this one. It's a versatile pet exercise pen; you can use it for a variety of pets.